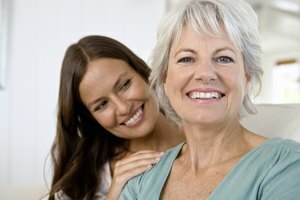 Shop together and suggest a new look for your mom. The relationship between you and your mom will have its ups and downs. There may be times when you both are the best of friends and other times when you bicker and fuss. Though you may not think so right now, she will be a central figure in your life. 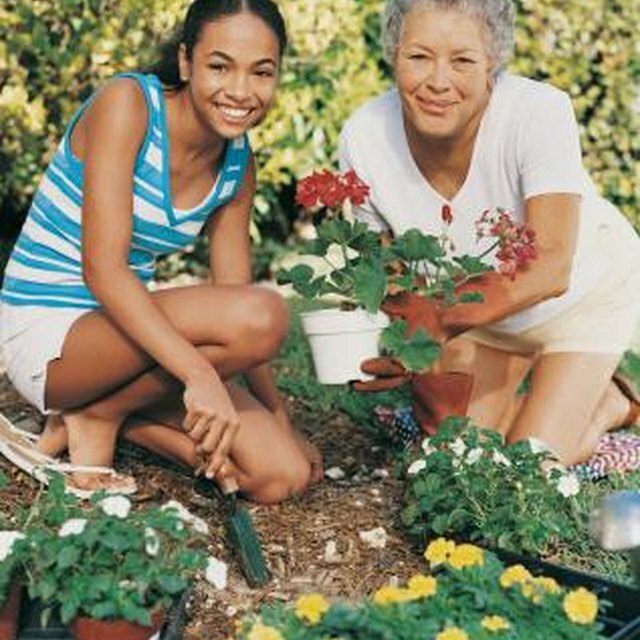 Eighty-eight percent of adults say their mother has had a positive influence on them, according to the Psychology Today article "The Mother-Daughter Bond" by Susan Campbell. If you find that you are drifting apart, planning a bonding outing may help to strengthen your relationship. Spend an afternoon learning about what life was like for her as a child as a reminder to you that she was once young. Consider exploring a vintage toy museum. Stroll through the exhibits together. When she spots a toy that reminds her of her childhood, she can point it out and discuss the significance, such as it being the same doll her grandmom gave her for her birthday decades ago. You may find similarities between the toys she adored and the toys you loved as a little girl. Or let her take you on a tour of her old neighborhood if it's different from where you grew up. Eat at the pizza spot where she used to hang out after school, let her show you the library she spent hours reading in and so on. The activities she did as a kid or teen may parallel your own. Toss on wide-brim hats, floral dresses and lace gloves for a tea room outing on a weekend afternoon. Admire the Victorian-style decor of the tea room together as you both wait for the server to bring out treats. Chat over bite-sized sandwiches and biscuits and giggle as you both try to be dainty with the cups of tea. Or, if you both always wanted to take a trip to Japan, head to a Japanese tea garden instead to live out your dreams and enjoy a traditional tea ceremony demonstration. You can also keep things more wallet-friendly and prepare a picnic lunch for an afternoon tea in the park. Let her tell you about any times she shared pretend tea parties with her own mother when she was young. Plan a makeover day and get new looks together. Head to the hair salon. As you both sit in the waiting area, grab hair magazines and suggest new hairstyles for each other. Laugh together at any far-fetched suggestions, such as your idea of multicolored hair for her. Then take a trip to the spa and sit side by side to get pedicures. Take the opportunity to chit-chat while your toes get special treatment. Pick out matching nail polish colors or get similar toe designs. Finish the day by going to a department store to get makeup consultations. Then head to the fitting room to try on clothes and giggle together as you both pretend to be runway models in the mirrors. An afternoon at a pottery painting studio will be a way to get artistic and create new memories together. Select ceramics to paint with the other's interests and tastes in mind. She may smile as she catches you painting a flower vase in her favorite color or you may giggle as you see her painting polka dots on a soccer ball bank. Then wait a few days for your ceramics to be fired and glazed. The finished ceramics will serve as keepsakes of the special day you shared. Alternatively, if either of you participates in outdoor hobbies, take the opportunity to learn from each other one day. She can show you the ropes to bird watching at a campsite and you can give her a few pointers about photography at the park. Taylor, Wannikki. "Good Ideas for a Mother and Daughter Bonding Outing." 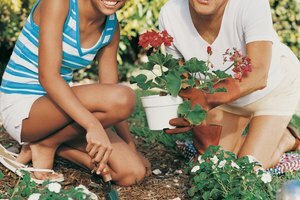 Synonym, https://classroom.synonym.com/good-ideas-mother-daughter-bonding-outing-9203.html. Accessed 23 April 2019.